Looking at automotive history, there is no performance vehicle line that has proven more legendary than “Shelby.” This branch of the Mustang family is instantly recognizable for its serious commitment to hair-raising adrenaline, airtight control over the road, and the ability to provide exhilaration in every situation. 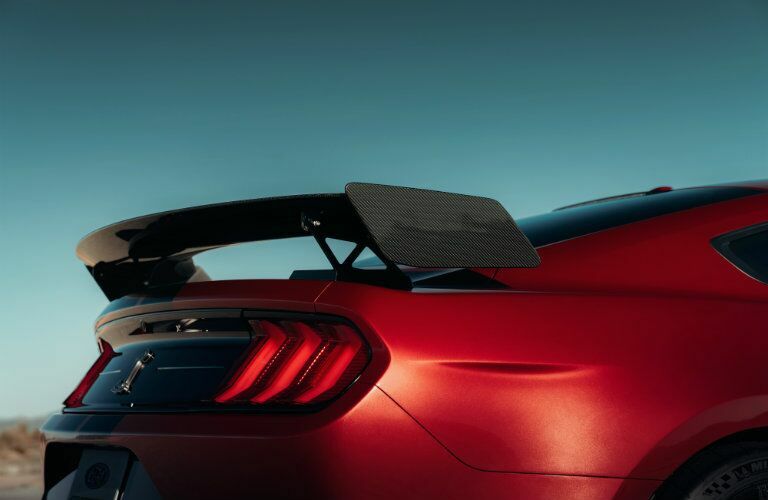 That’s why our Sherwood Ford team is so excited to be able to introduce you to the all-new 2020 Ford Mustang Shelby GT500 – just unveiled at the 2019 Detroit Auto Show, it’s already being touted as Ford’s most powerful street-legal vehicle ever made, with a compelling argument in its favour. 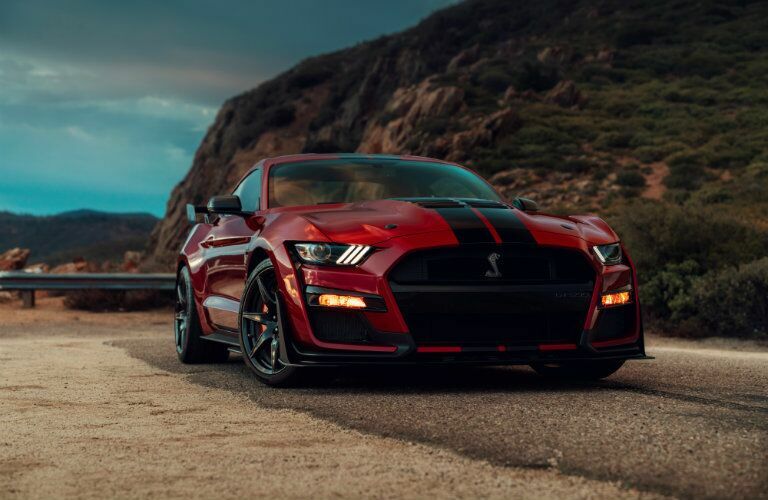 Ahead of its release on the Canadian market, today we invite you to join our Sherwood Ford team as we take you through the best features of the 2020 Shelby GT500. (Note: More info to be released by Ford Performance third quarter of 2019) Believe us when we tell you that there’s a lot to cover, so let’s jump right in! With all that we’ve mentioned above, it should come as no surprise that the Shelby has tailored every aspect of its drivetrain for your ultimate enjoyment on the road or track. It can race up and down the pavement without so much as breaking a sweat, and it can do so while still keeping you comfortable and connected. Inside, an exposed carbon fiber instrument panel and Dark Slate Miko® suede door inserts can help you keep the spirit of adrenaline and adventure on the ride. 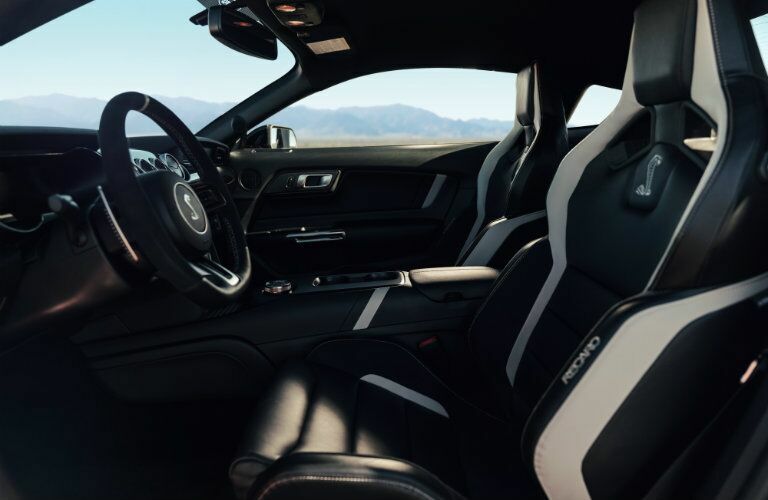 With available Recaro racing seats as well, including bolstered sides and safety harnesses, you’ll be able to keep your control as the Shelby tears across the highway. We should also mention the Shelby GT500 model’s technological capabilities, which not only are numerous, but highly savvy. Inside, the GT500 offers a 12-inch full-colour LCD instrument cluster, with a 12-speaker premium audio system by B&O® Play. Your media, navigation and connectivity needs will be taken care of thanks to an 8-inch SYNC® 3 touchscreen interface, featuring FordPass Connect™ and SiriusXM radio capability. 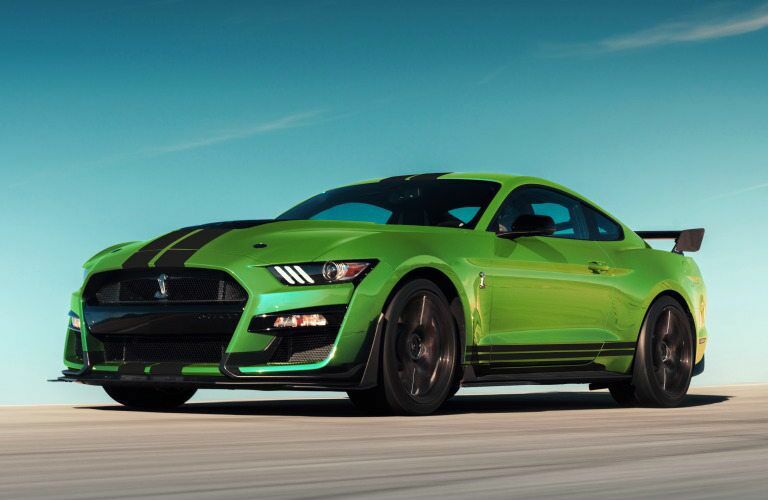 Finally, the 2020 Mustang Shelby GT500 can all be yours in four prime colours, including Red Hot, Twister Orange, Iconic Silver, plus Grabber Lime, each of which will come with available painted stripes if you so choose. “Iconic” is truly the only word to describe the influence and impact that the Shelby line has been able to make on drivers across North America, and we couldn’t be more excited to see it in action for the 2020 model year and beyond. Contact Sherwood Ford today if you have any further questions about the vehicle, or if you want to reserve your spot in line to sign off on it. We’d be more than happy to lend a hand and tell you all that we know!